Plus free hotel and transfer package. Contact us today! 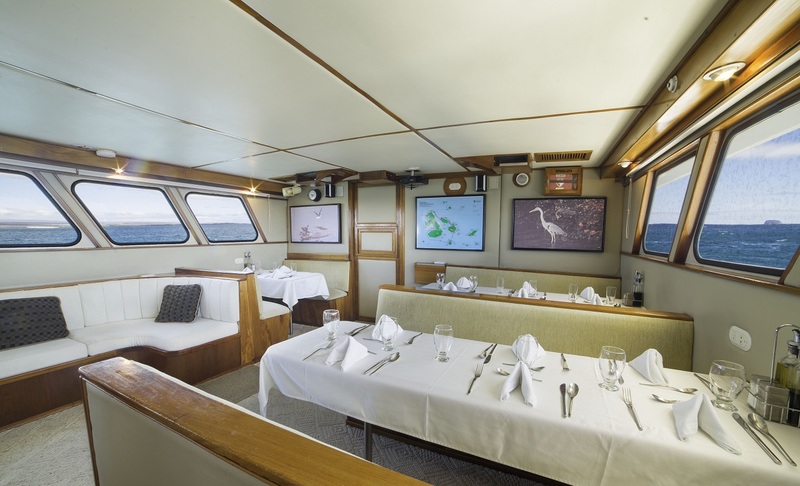 The Reina Silvia is one of the finest vessels of her size in the Galapagos, allowing you to discover the Enchanted Islands in relaxed comfort. This 8-day itinerary will take you through the east islands and show you the beauty that lives in this unique location. 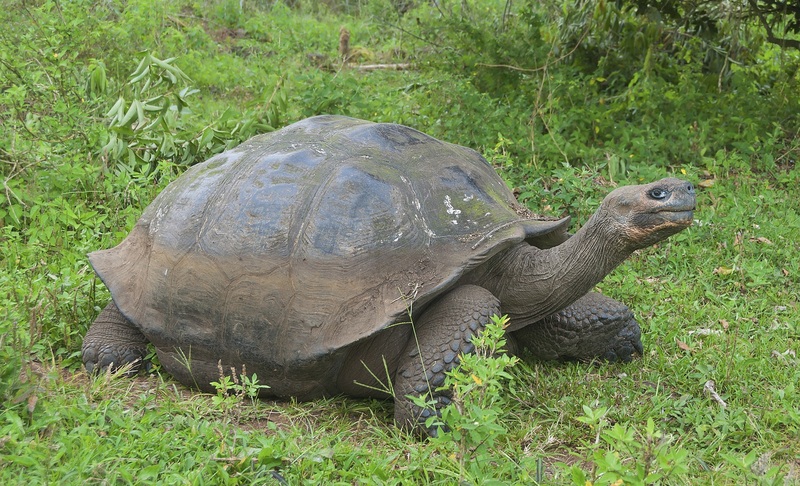 After arrival in Baltra, we visit the highlands of Santa Cruz Island for an opportunity to view the islands' most famous reptiles: the giant tortoises. 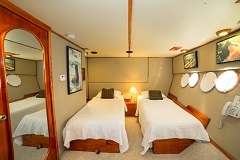 Here there is an array of wildlife to observe as well as rare vegetation. 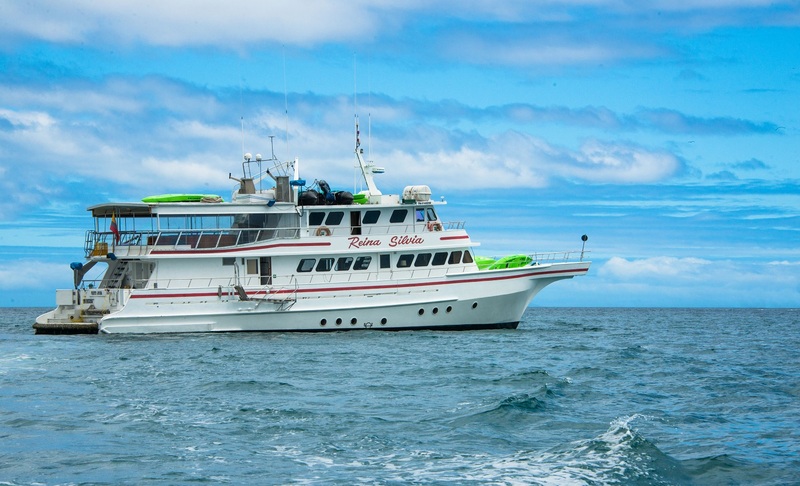 In the afternoon we will visit the Charles Darwin Station and Galapagos National Park headquarters to learn about the conservation and research efforts in the islands. We usually spend part of a day on the white sand beach at Gardner Bay where you will have time to take a long walk, jog in the surf, swim or snorkel. 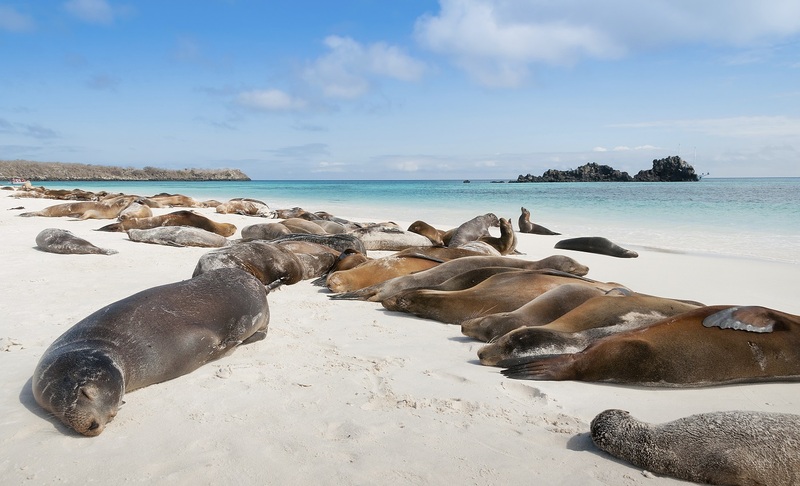 Sea Turtles nest on this beach and sea lions are often seen snoozing. Islote Gardner is a small island in front of Gardner Bay and is lined with vertical cliffs that drop to sandy ledges and large boulders. Islote Osborn is a small island, about 3 km from Espanola Island, perfect for swimming and snorkelling depending on national park regulation. At the Punta Suarez visitor site, on the north-western corner of the island, birds are everywhere. As the panga driver guides us in through the surf to the landing, sea lions are often seen on the waves. A great tangle of marine iguanas, stretched out in the sun on the beach, are usually present when we land. 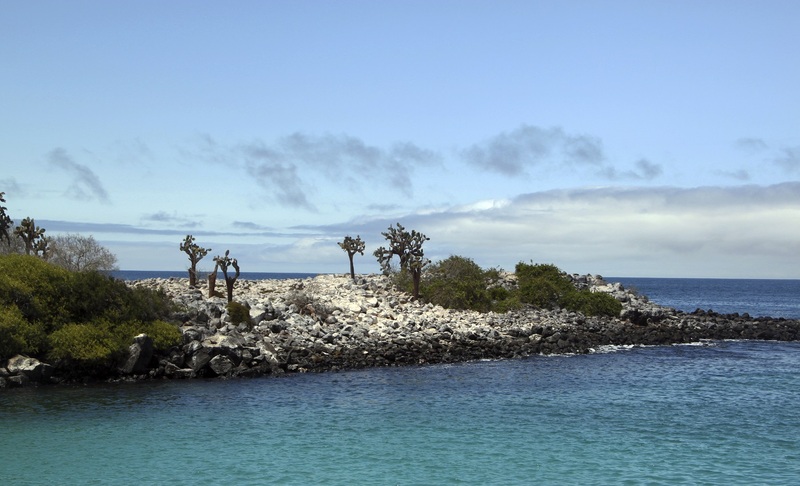 Isla Lobos is about an hour by boat from Port Baquerizo Moreno. There is a small population of blue-footed boobies and common frigate birds nesting on this site. You can observe the two species of sea lions present in the archipelago. During the tour you go through a dry vegetation zone, substrate of volcanic rocks and a sandy area. Located some miles offshore. 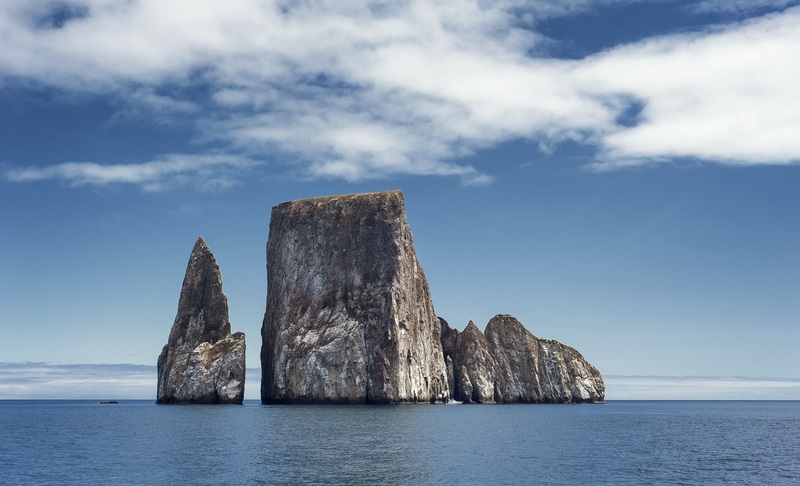 At Kicker Rock, Leon Dormido is a huge monolith that split apart creating a narrow passage that only the most skillful yacht captains can navigate. Blue Footed Boobies and Magnificent Frigatebirds nest along the ledges. 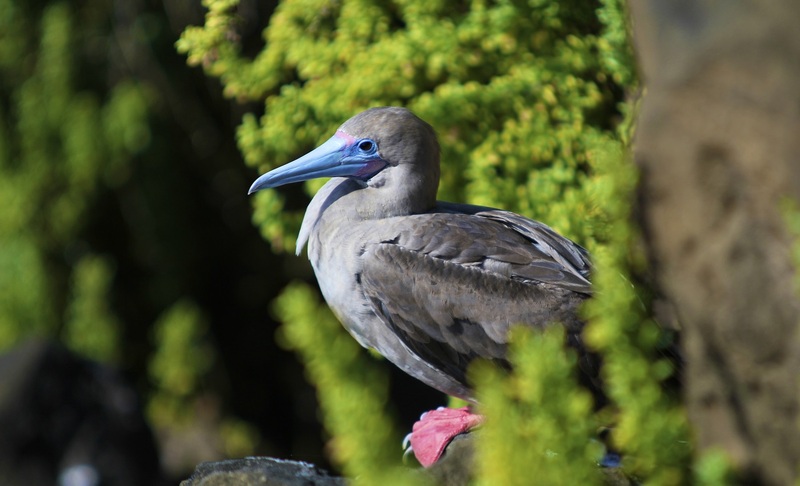 Pitt Point, the most easterly point in the archipelago, is one of only a few visiting sites in Galapagos where red-footed boobies can be observed. Blue-footed boobies can often be seen plunge-diving for fish while frigate birds soar overhead. The trail at Punta Pitt winds up through eroded volcanic tuff formations to a plateau for a spectacular view of the island, and Islote Pitt. 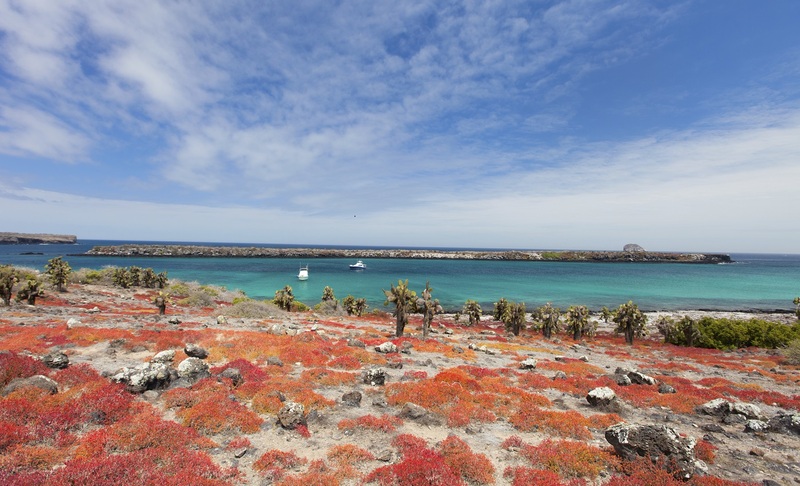 We spend a fascinating half-day on Santa Fé, the island home to a small population of very large land iguanas, and the largest of the Opuntia cacti. The lagoon appears like a scene from “South Pacific” and is ideal for swimming and snorkelling; sea lions and colourful fish abound here and sometimes we see sea turtles. 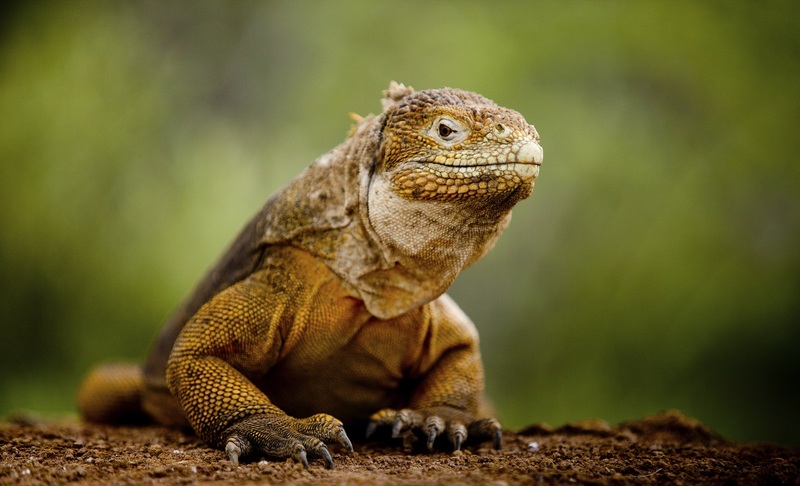 The climb to the bluff is challenging but the payoff comes when you spot a couple of huge land iguanas. South Plaza is a small, but very rewarding island to visit. 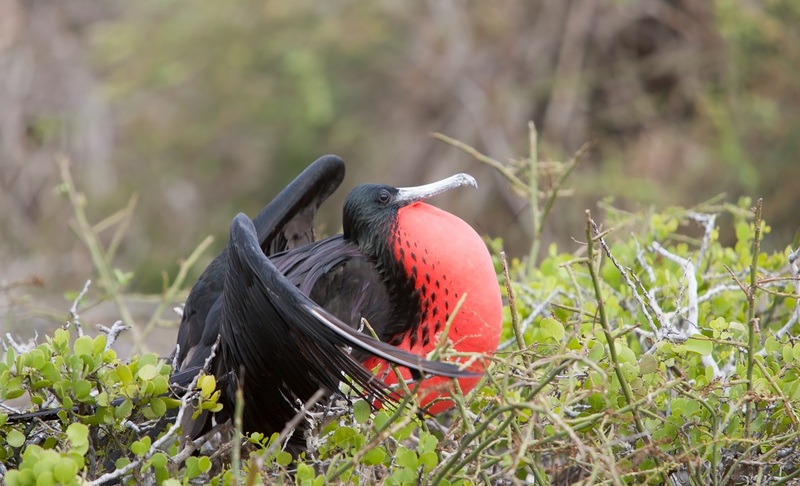 Here you will enjoy watching land iguanas, Swallowtail Gulls and Red-billed Tropicbirds. Darwin's Bay is a protected bay in a volcanic crater that long ago broke open to the sea home to many wildlife species including the Red-footed Boobies, Great Frigatebirds, mockingbirds, Swallow-tailed Gulls and finches. En route to Prince Philip's Steps we explore the cliffs on a long tender ride. After a climb up to the plateau (it is a flat island) we see nesting Nazca and Redfooted Boobies and Frigatebirds. You may see hammerhead sharks lazing along, just below the surface, and you'll hear Red-billed Tropicbirds shrieking as they race along the cliffs. This island is one of the most interesting to visitors. 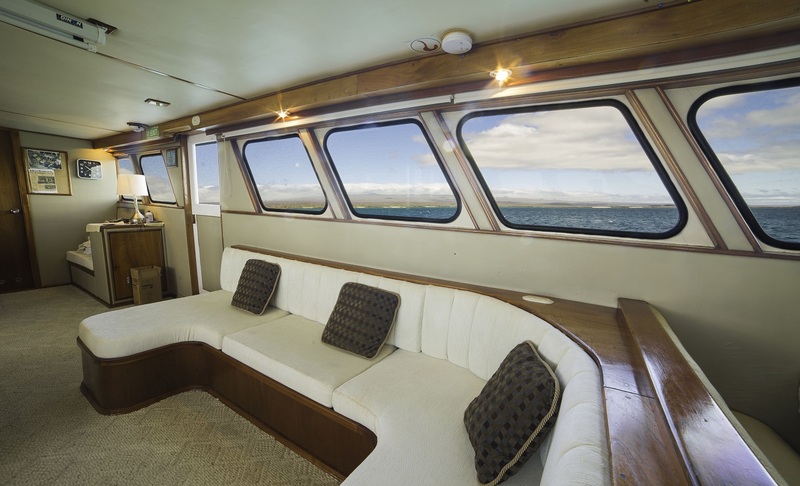 At Sullivan Bay, just across a narrow channel from Bartolomé, on the eastern end of Santiago, you will walk on recent, black pahoehoe lava flows. You will see some of the early colonizing plants—mollugo and brachycereus—struggling to gain a foothold in tiny cracks in the lava. Small cinder cones stand out where this black blanket flowed gracefully around them. 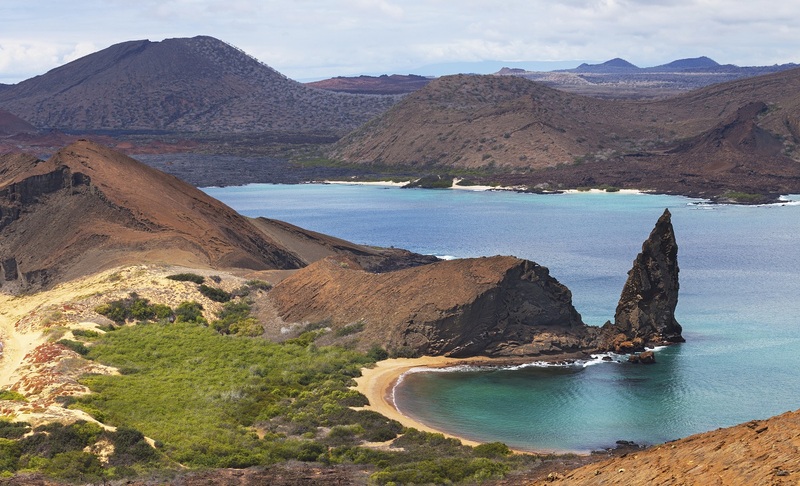 Bartolome Island is an exceptional place to observe volcanic island geology and to snorkel. The long climb up the wooden steps to the pinnacle of this cinder cone takes you through cinders and rough volcanic formations, a veritable moonscape. 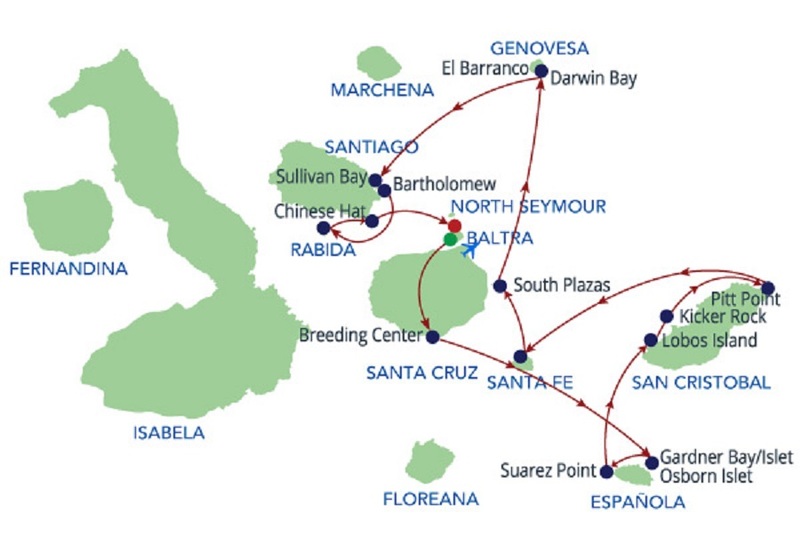 On top you will enjoy the spectacular view of Bartolomé, Santiago, and several other nearby islands. From this height you can make out old submerged craters at the water's edge. Rabida Island is a small red island, the colour of the volcanic cinders, located just across a small channel from the south side of Santiago, near the centre of the archipelago. The red beach is usually populated with sea lions and pups. 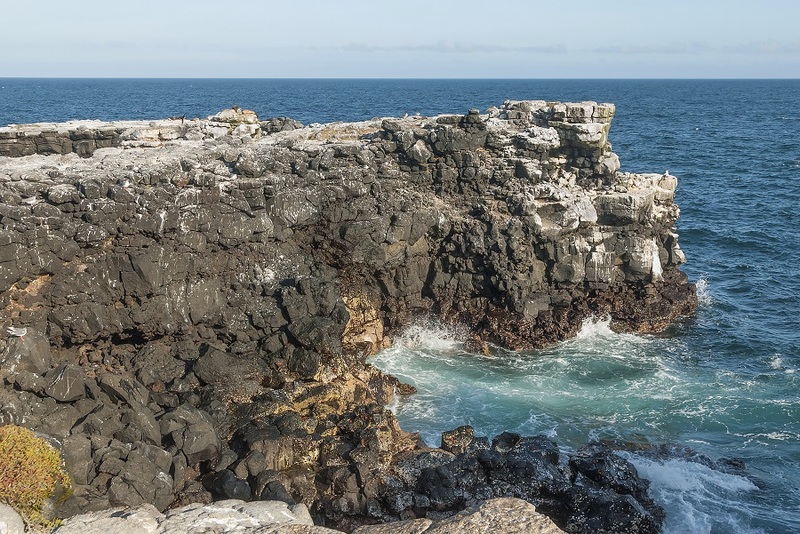 The snorkelling is very good along the cliff face where Galapagos Penguins may swim with you however, you can count on swimming with sea lion youngsters. Chinese Hat is a tiny island just off the southeast tip of Santiago. Those visitors who travel to the island will find its special landscape worth the visit. Though centrally located it is one of the least visited sites in the area. 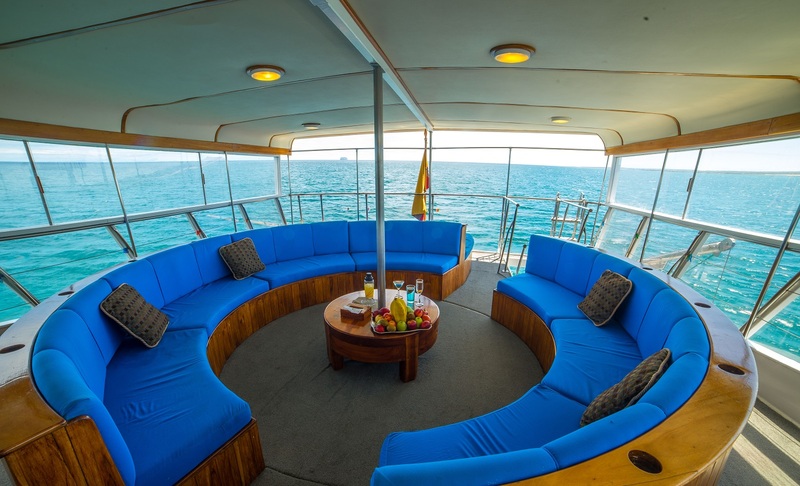 Here you will be able to climb a path where you will reach a height with some spectacular views of the waves crashing below. 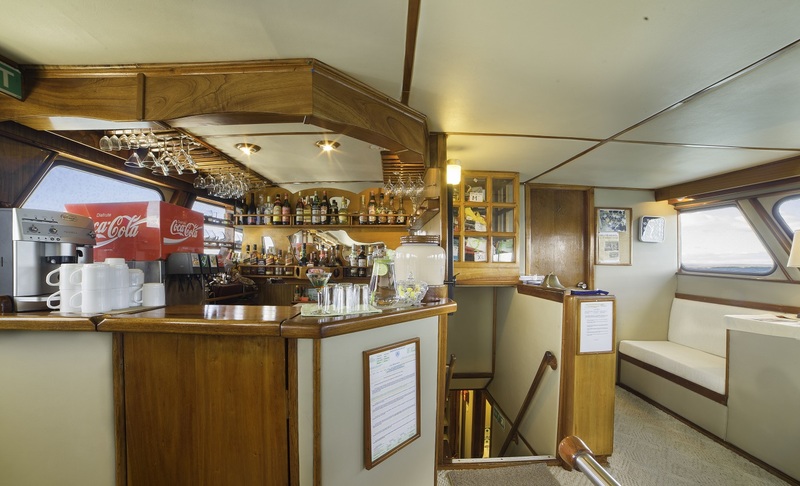 After breakfast you will be taken to the airport for your return flight to the mainland. 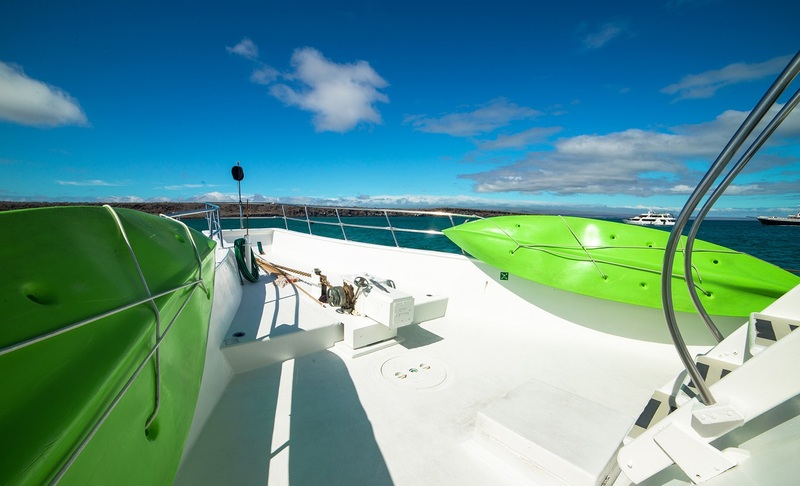 27 Apr 2019 - 04 May 2019 $3511 AUD 2 for 1 Offer! $3511 AUD 2 for 1 Offer! 03 Aug 2019 - 10 Aug 2019 $5573 AUD Save A$1449, Receive a complimentary hotel & transfer package! $5573 AUD Save A$1449, Receive a complimentary hotel & transfer package! 09 Nov 2019 - 16 Nov 2019 $7022 AUD Receive a complimentary hotel & transfer package! 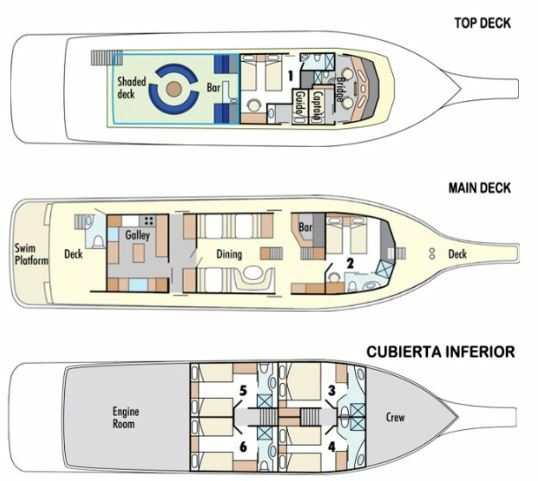 Stateroom $7022 AUD Receive a complimentary hotel & transfer package! 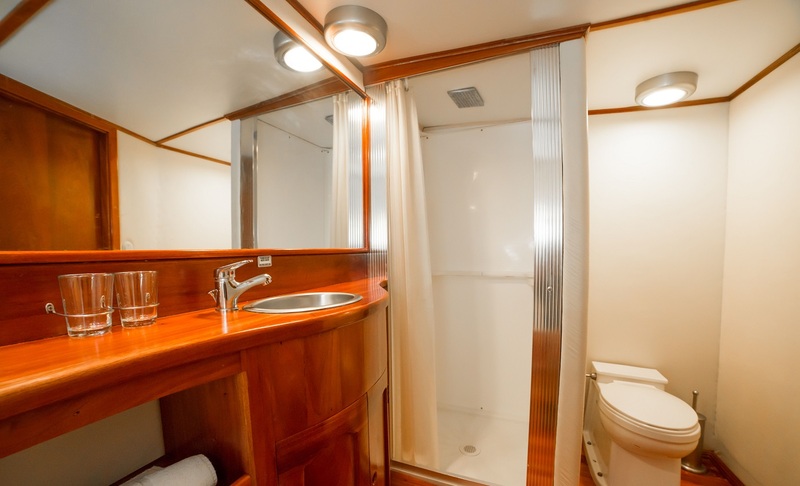 6 staterooms; 2 staterooms with 2 lower single beds or 1 king bed, 4 additional staterooms with 2 lower single beds or 1 double/king bed and 1 pullman-style bed, air conditioning, large en-suite bathroom with full-size shower & porthole window.